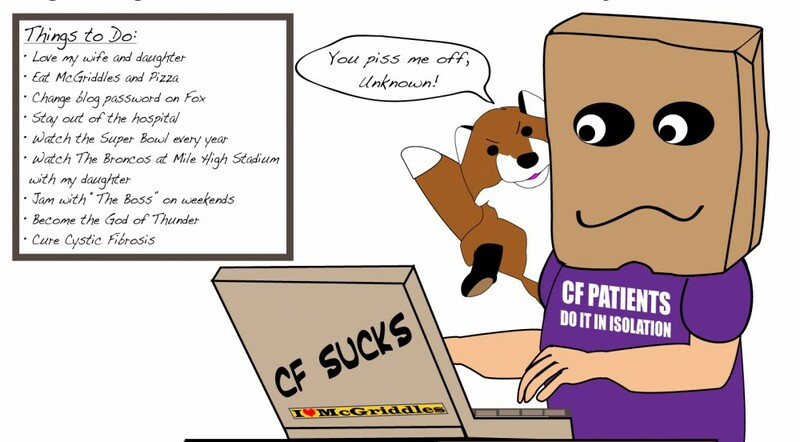 Having cystic fibrosis goes hand in hand with searching for symptoms health information on the web. At least for me it does. When my health goes south, I head to the Internet. This afternoon, it felt like a I had a fever, but my temp was just a hair higher than normal. I was burning up and my eyes were puffy with shiners. Hospital time? It’s hard to figure out what’s wrong using a search because I can always find some poor person who has had the exact symptoms I’ve typed in. It’s too easy to prove any medical claim using the Internet because so much “truthiness” exists and someone at some point has had exactly what I’ve typed in. So, I had to trust my gut and figure that the cipro might be causing some problems. By narrowing the search with key information, I found more realistic answers for my situation. Is this any different than a visit to the doctor? An Internet search for health information matches my doctor visits: The better the information I supply, the more accurate the diagnosis.